This one was shot out of the car window one morning in the farmlands South of Piedrahíta. The area may not be fantastic for birds, but it has the immense advantage that I KNOW it like I know my own ‘hood. During a trip to Pedro Bernardo for the Nordic Paragliding Open 2014 I had the opportunity to visit a few bird sites on the way, not least the Hoces del Rio Duratón and Monfrague, in Castilla y Leon and Extremadura, respectively. Both sites are fantastic for Griffon Vultures, but the Hoces del Rio Duratón holds specials such as Duponts Lark as well. 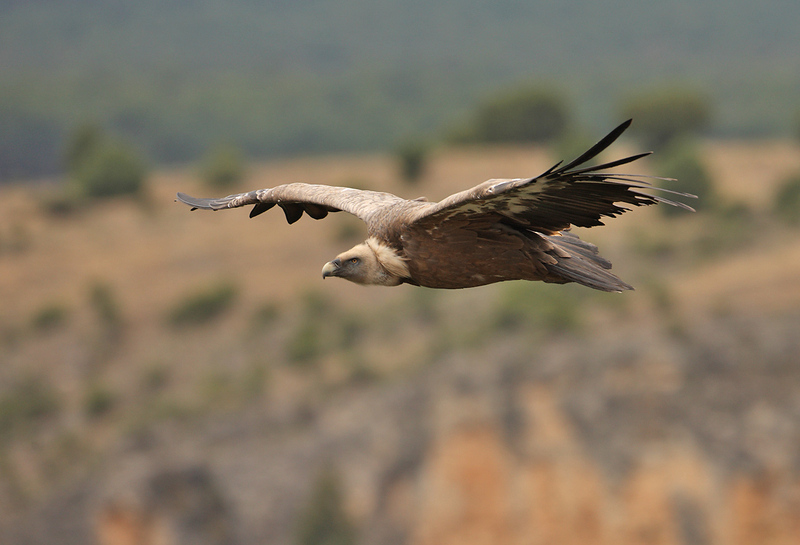 Monfrague is famous for just about any large raptor in the Iberian Peninsula. 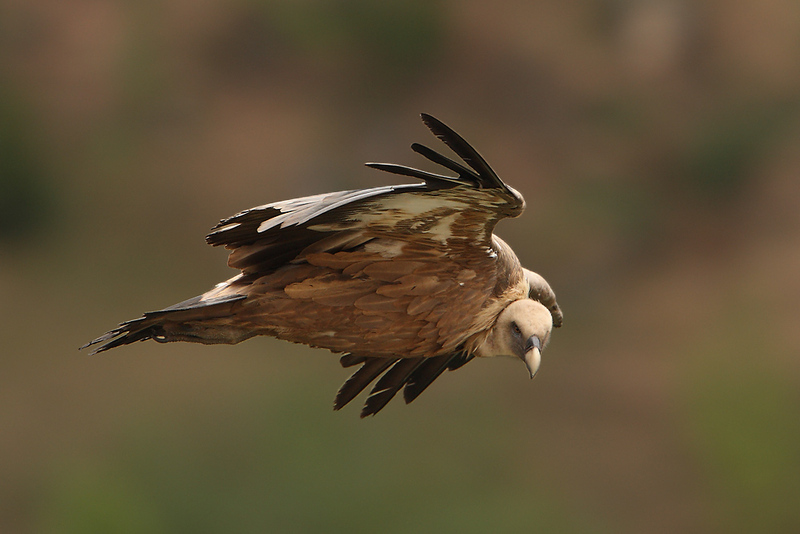 The Spanish population of Griffon Vultures has rebounded like crazy during the 20 years I have been travelling to Spain. For the first few years, even seeing one was a major event; now they can be found everywhere in the open country, and the good breeding spots have literally hundreds of pairs crammed together. 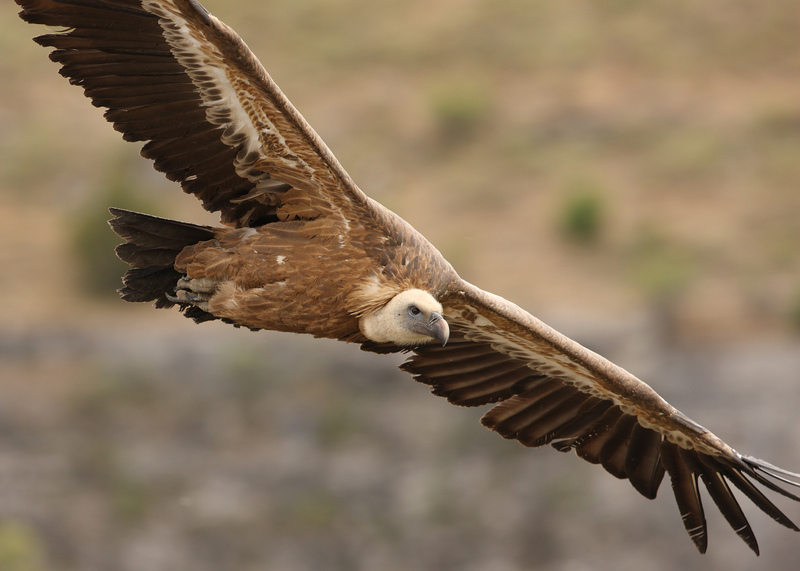 During the same time, and likely for the same reasons, birds like the Booted Eagles and the Bonelli’s Eagles, as well as the Snake Eagles, have rebounded well too. 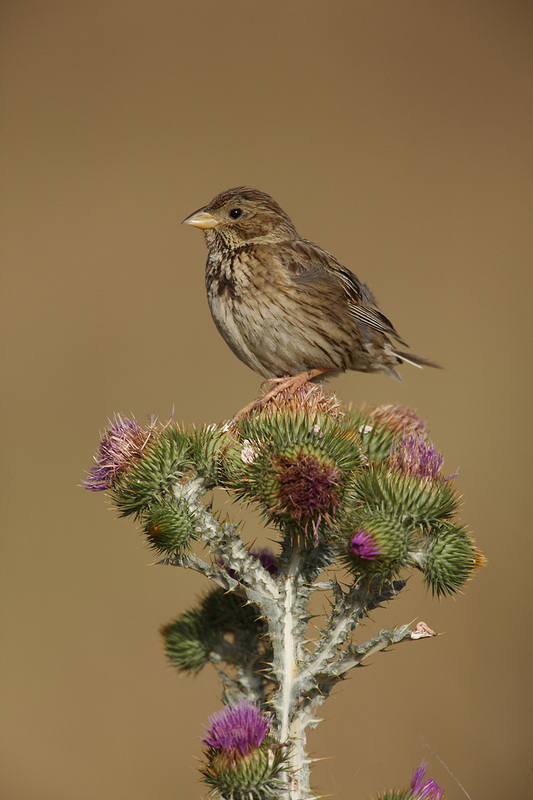 These birds adapt well to life in the human-defined environment as long as they aren’t poisoned or shot. 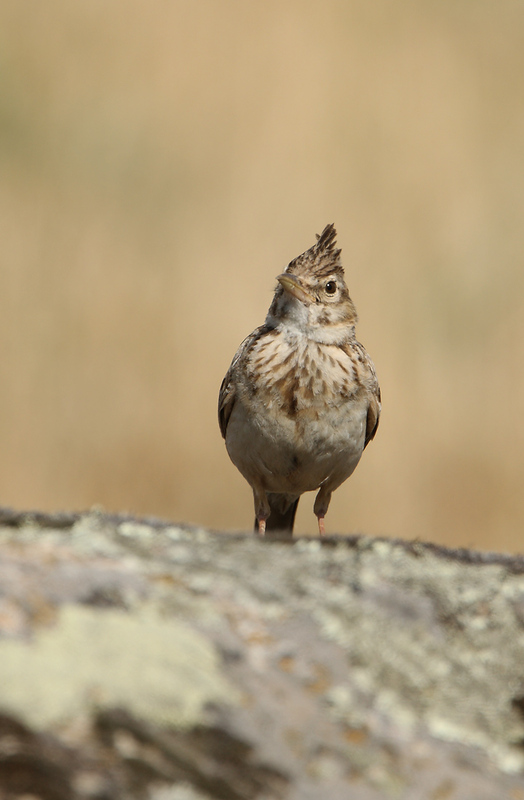 A crested lark posing for the photographer. As a casual visitor with poor pre-planning I was happy to just get the opportunity to shoot some Griffon close-ups. I would have liked to have had much more “exotic” species to display, but that will have to wait until some other time. In the mean time, some of the Griffons are rather nice. 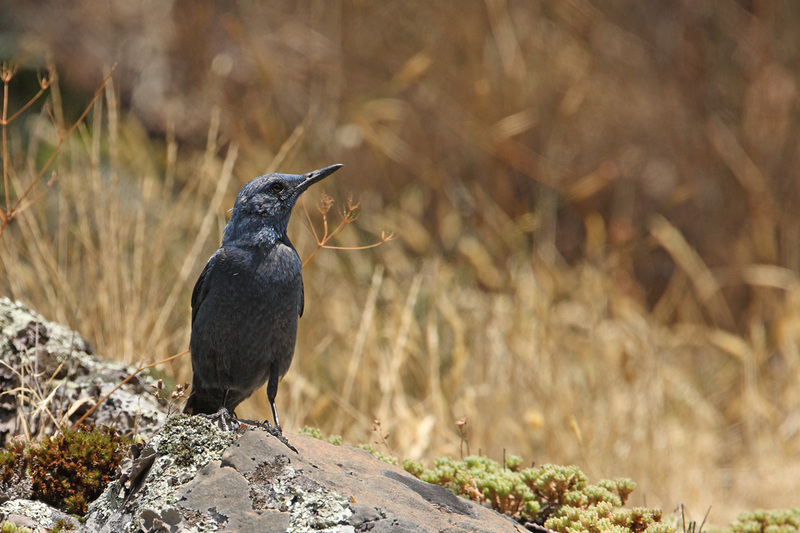 The blue rock thrush is normally a difficult bird to photograph, but up high in the Gredos this bird turned out to be more accomodating. 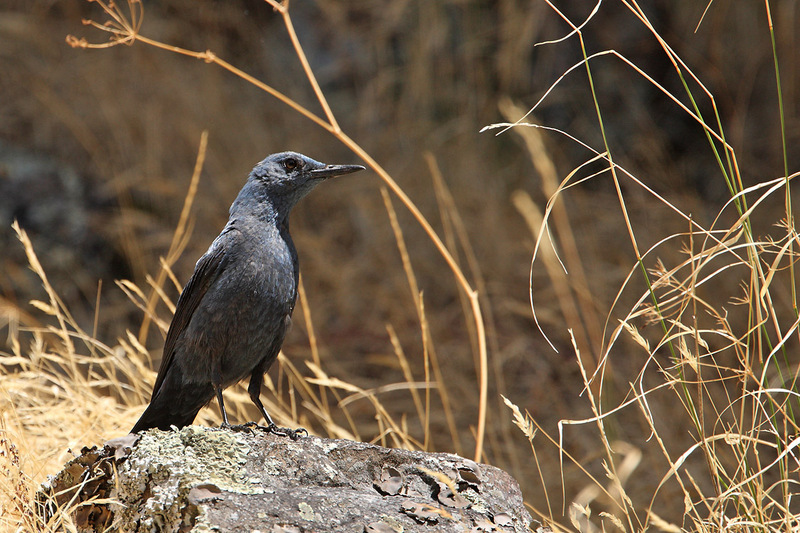 This is the classic blue rock thrush image, with the bill pointed upwards. The bird is hanging at its home turf here. Among bird-in-flight photographers there is a keen desire to shoot large raptors from above, and with something other than skies as background. This Griffon was level with the lens, but has a nice grassy slope as a background. Another bird that is level with the lens. The bird was photographed at the Hoces del Rio Duraton, near the monastery. A nice portrait of a flying bird. I have had this image printed in large format and have sent it to a friend who is ill and has lost all her hair, to prove that even bald heads can be pretty cool! The vultures in this series aren’t flying for any other reason than because they dig it; this will be decried as antropomorphism by some, but I know because I have seen them. 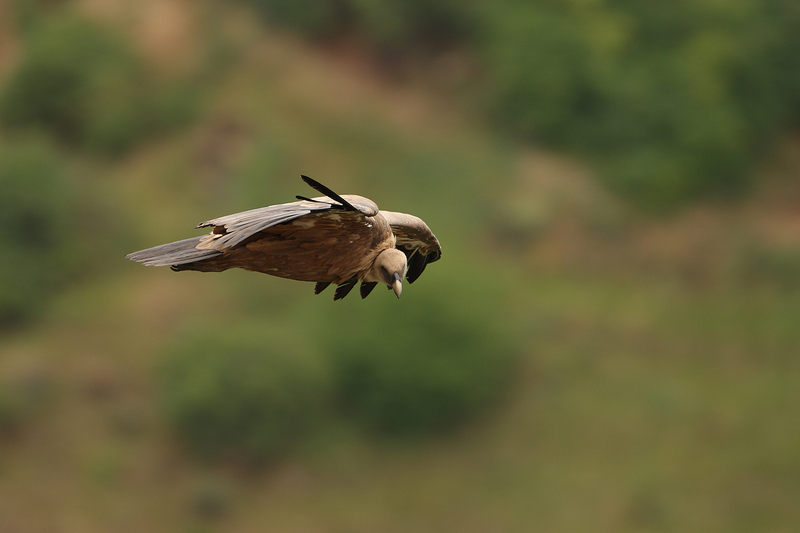 They land as soon as the thermal-induced gust is gone, and they never leave the immediate vicinity of their rock ledges during the flight. But if the conditions allow it they will fly, just because they can. I can relate to that.